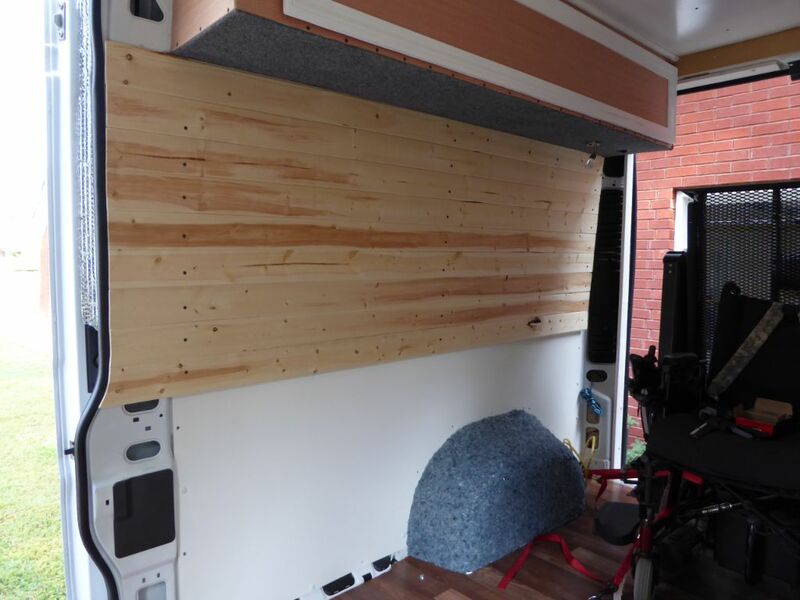 The van came without anything other than paint on the interior walls. We went a different route than we did the first time... for better functionality and appearance. Here is a video of the new wall covering as well as a few pictures. 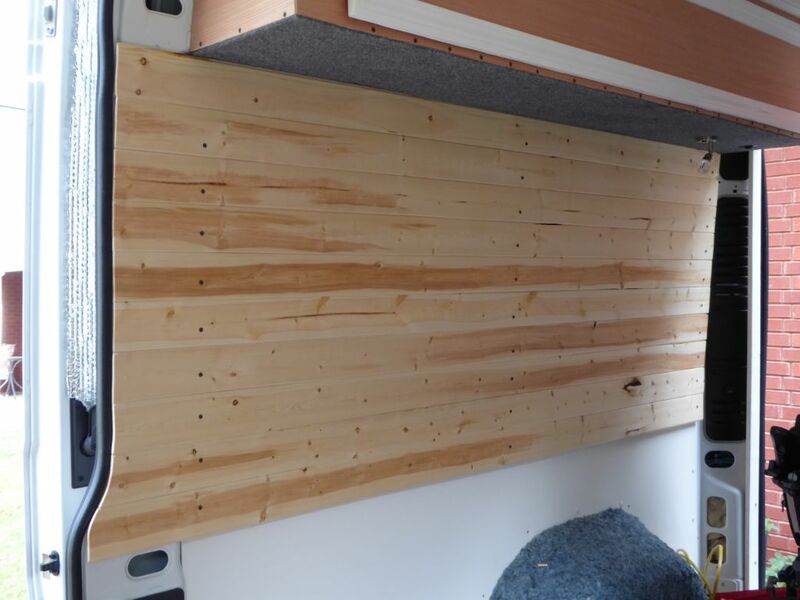 The siding is knotty pine slats sold in packs of 6 at Lowe's. At the time we purchased them, each pack was $12. 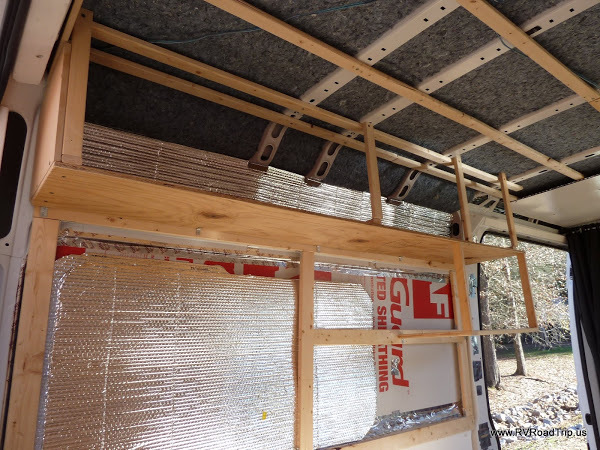 We used 4 packs covering both sides of the interior van walls. 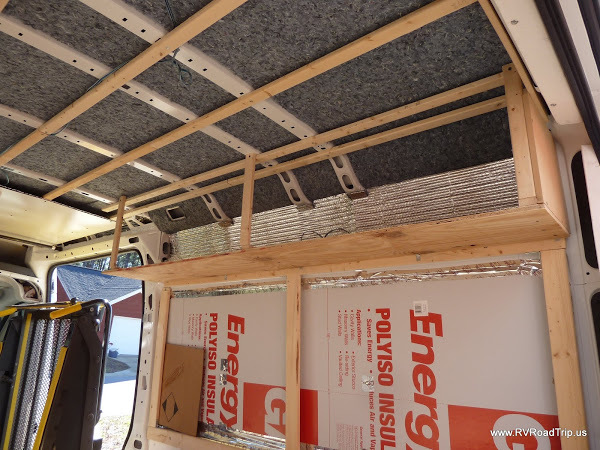 The ceiling is double insulated with a layer of UltraTouch denim insulation glued to the metal, then a layer of Reflectix. Yes, we have a nice air gap between the denim and the Reflectix. 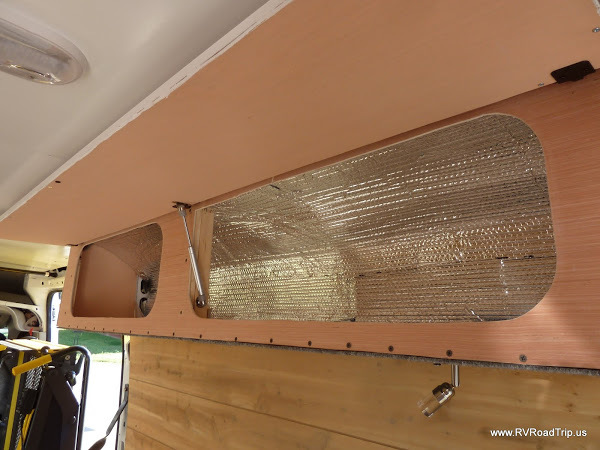 Hopefully, this will help keep the heat out in the hot summers and also make it so the A/C doesn't have to work so hard. The visible covering is a white hardboard held in place by screws. We originally thought about painting or covering the screw heads but decided it looked just fine the way it was. We have 2 bright white LED lights overhead and they are controlled by a switch on the side of Jerry's bed. The cabinets over each bunk serve as storage for our clothes. On Jerry's side there is also a spot that holds a small microwave oven. 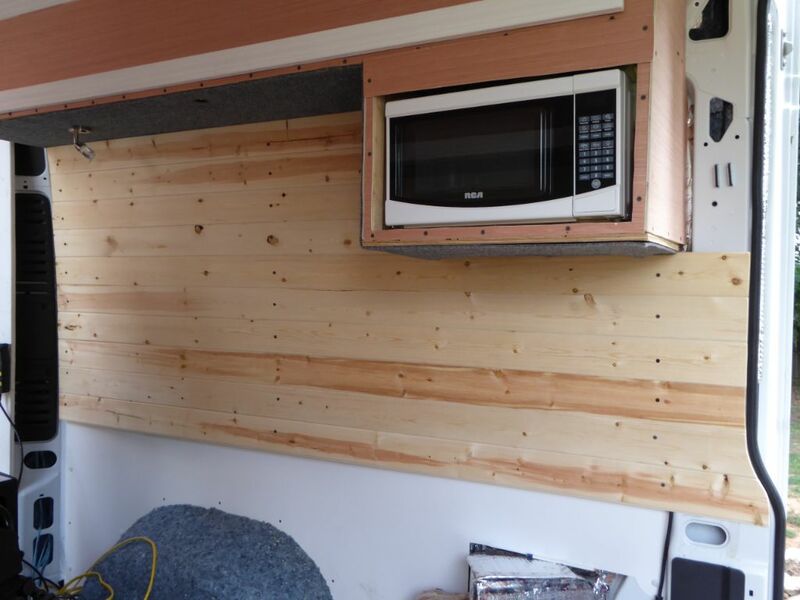 The cabinets were framed with 1x2s then covered with thin plywood. 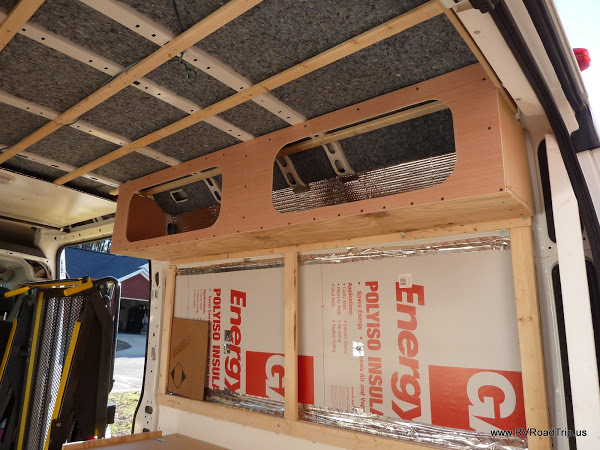 We covered the bottoms with speaker cloth to make it look a little better. Your opinion may vary. 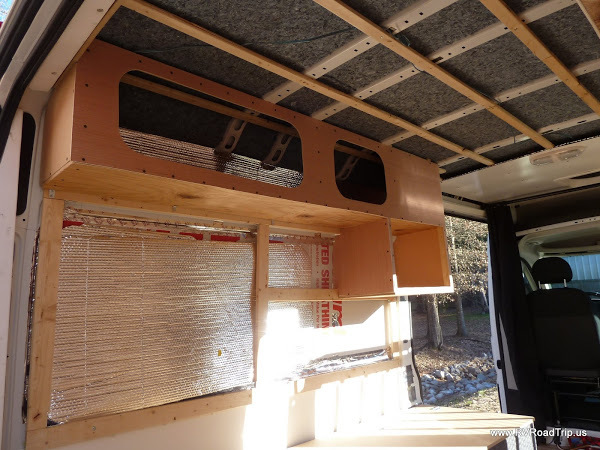 :) Here are some pictures of the build showing the framing as the thin plywood covering.